EXECUTIVE SUMMARY: A reconsideration of the events of the years preceding the 1967 war — or what the General Staff calls “the campaign between the wars” — offers lessons for today. The escalation towards the Six Day War is a classic case of a limited campaign spinning out of control against expectations. To the ordinary citizen, wars upset the routine of life by surprise, like natural disasters. Israelis experienced the Six Day War as a war of no choice. In the fortieth year after the conflict, Yossi Sarid maintained that Levi Eshkol had not wanted a war, and neither had Nasser. In Sarid’s view, the war could have been prevented, and it was IDF generals who pushed for it. We will focus here on two periods: that of the escalation, as border clashes mounted during the three years preceding the war, and the time span that mainly concerned Sarid, which began when the Egyptian army entered Sinai on May 15, 1967, Israeli Independence Day. From that moment, despite Sarid’s claims, the slide into war appears to have been unavoidable. Much has been written on this topic. In my view, it is more important to reconsider what transpired in the first period, in the years before the war — what the General Staff now refers to as “the campaign between the wars.” The objective of the campaign, as set forth in the document on IDF strategy by Chief of Staff Gadi Eizenkot, was to weaken negative factors, achieve deterrence, and defer the next war. Thus, in the three years before the outbreak of war, the IDF conducted a three-pronged campaign aimed at the following objects: thwarting the diversion of the sources of the Jordan River; implementing sovereignty in the demilitarized zone along the border with Syria; and fighting the terror that had intensified with the establishment of Fatah. Under Rabin’s leadership, the generals of the General Staff sought to make the most of the border clashes, even hoping to bring about a wide-scale military conflict with Syria. They were aware of the political constraint — the desire to avoid a descent into an all-out war in which Syria and Egypt, which in 1966 had signed a mutual defense pact, would jointly take part. In March 1967, when formulating the IDF’s multiyear plan, military intelligence (Aman) estimated that an all-out war was unlikely at least until 1970, as long as Egypt was involved in the fighting in Yemen. At the same time, the research department of the intelligence branch acknowledged the possibility of an unforeseen deterioration. In light of this assessment, and with the border clashes treated as the campaign between the wars, the issue was how to guide and limit IDF operations, particularly in the north, in a way that would forestall a deterioration. On April 7, agricultural work in the demilitarized zone east of the Sea of Galilee led to a border clash. During the incident, shells landed on homes in Kibbutz Tel Katzir. Prime Minister and Defense Minister Eshkol approved the dispatch of air force planes to silence the sources of the fire. The planes flew 171 sorties for the purposes of this attack and patrol, during which six Syrian MiGs were downed. This incident marked a turning point in the deterioration that impelled the Soviet Union and Egypt towards war. Thus, despite tactical achievements, April 7 constituted an operational failure in terms of the goal of the campaign between the wars, which was to defer war. 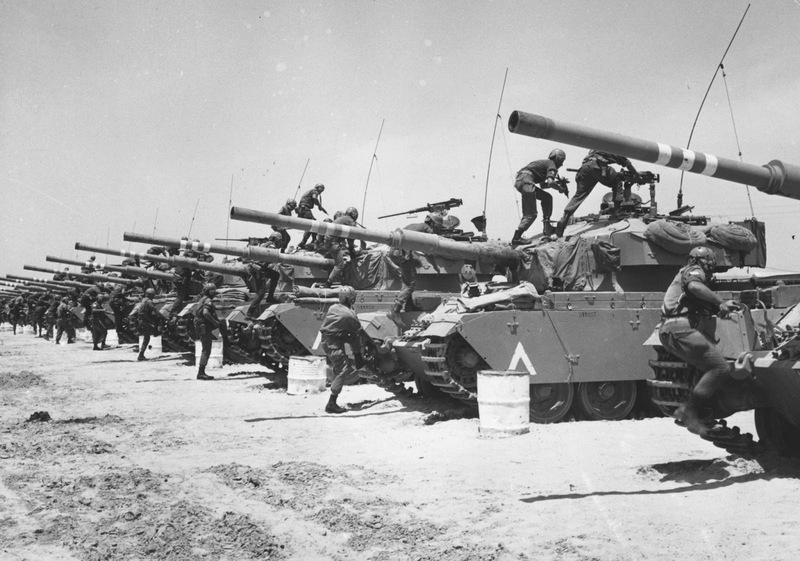 The dynamic of the escalation to the Six Day War offers a crucial lesson about how a limited campaign can, contrary to expectations, spin out of control. About a week ago, as Chief of Staff Eizenkot completed the first two years of his tenure, the media gave an interim assessment. Everyone praised his performance while emphasizing that he still had not undergone the most critical test — the test of war — as though he were a soccer coach whose team has not yet been tested in an important game. But the wisdom and responsibility of the chief of staff have been tested no less, indeed possibly more, during the time between the wars. He has succeeded by conducting a sober, judicious campaign, clandestine in not a few of its aspects, and manifest to the appropriate extent. For the person at the helm of the military, a campaign of this sort requires no less skill than a big war. When it is properly managed, there is hope of deferring that war to the point that it becomes unnecessary. General Gershon Hacohen is a senior research fellow at the Begin-Sadat Center for Strategic Studies. He served in the IDF for forty-two years. He commanded troops in battles with Egypt and Syria. He was formerly a corps commander and commander of the IDF Military Colleges.